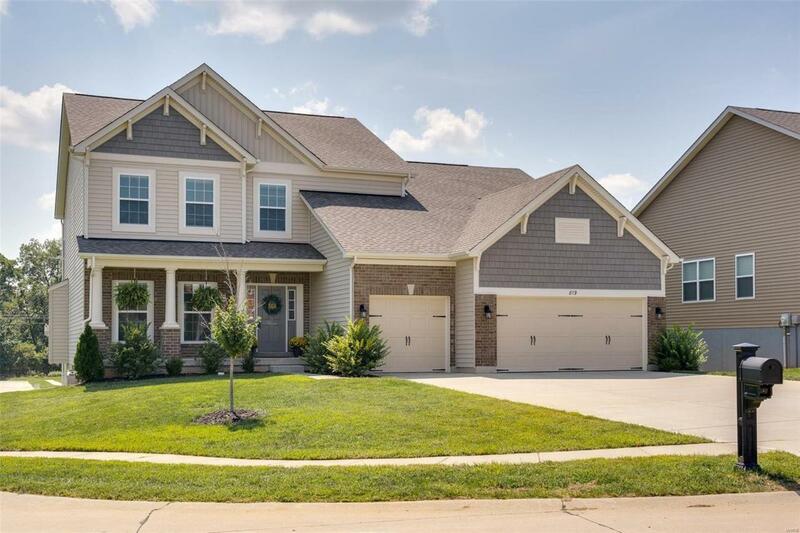 Welcome to this Gorgeous 1.5 story home located in a cul-de-sac in the Carlton Glen subdivision in the highly sought after Wentzville School District. 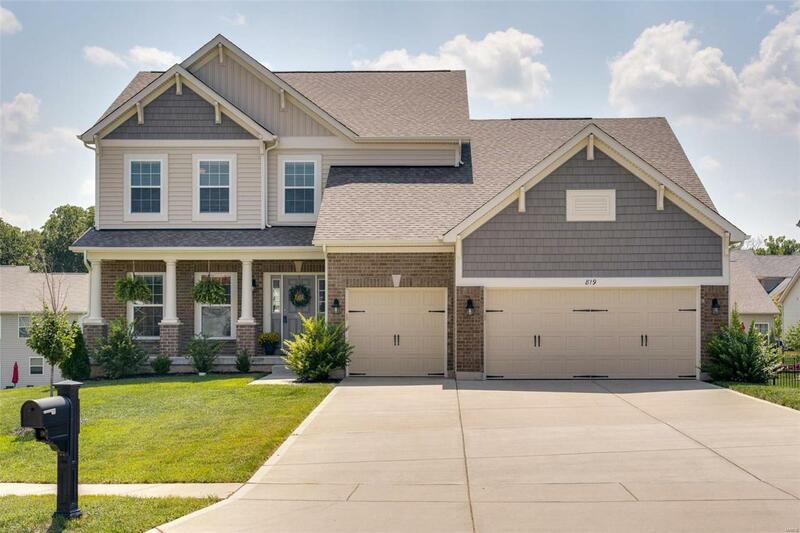 This 4 BR, 2.5 bath, open floor plan allows for entertainment & amazing family living. 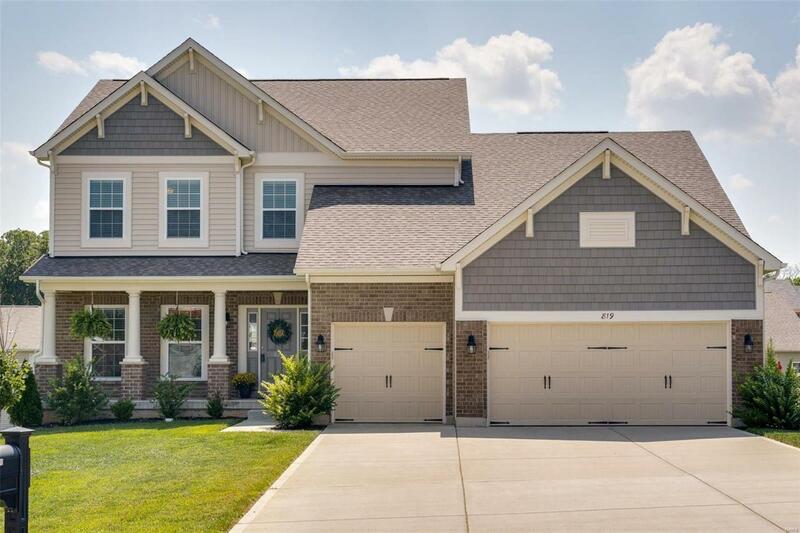 Upgrades Galore: Custom Kitchen Cabinetry, Granite Countertops, Custom Kitchen Island for that breakfast nook feel, Stainless Steel Appliances, Extended 3 car garage, 9 ft Ceilings & Pour, tons of closet space, Laminate Plank Wood Flooring, Window Wall & Fireplace in Great Room. The Master offers large walk-in closet, upgraded master bathroom includes double bowl sink with shower & separate tub. Main floor laundry. 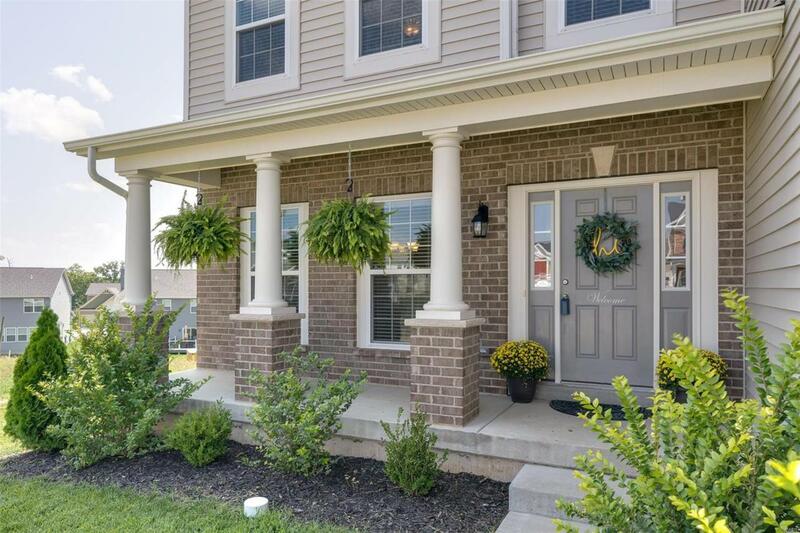 Upper level boasts 3 spacious bedrooms with walk-in closets & great loft living space. The NEW Covered Composite Wood Deck is the gem to the whole home. Deck offers tons of Outdoor Living Space, Ceiling Fan, Lighting, & has steps that lead to good sized Back Yard.